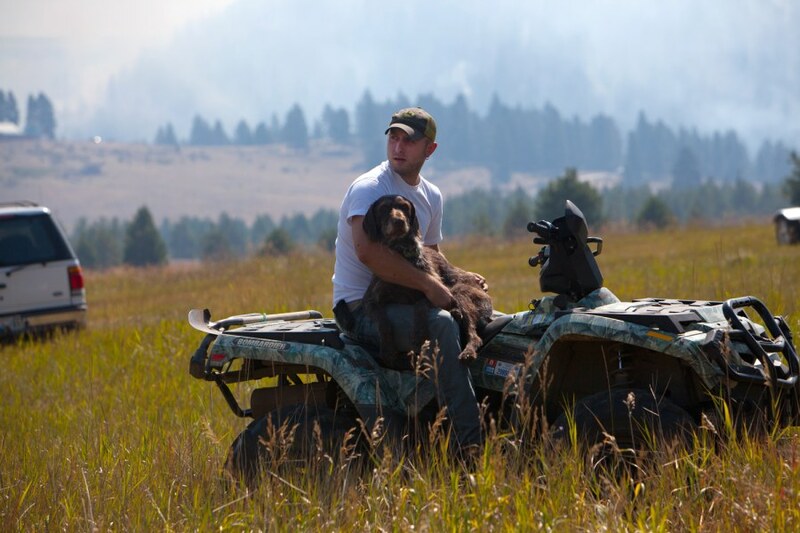 Flynn Harmon of Cle Elum, Wash. sits on his ATV holding Loner, a German Wirehaired Pointer while looking for his other dog, Frida. "I think she was just spooked with the helicopters flying overhead," Harmon said, "So I unlatched both of them and she just darted off into the trees over there. I've searched all that really well. I don't know if somebody possibly picked her up somewhere, I was gonna go start looking at the shelters." Helicopters are being used to try to extinguish the Taylor Bridge Fire, seen burning in the background. Thursday, Aug. 16. The fire that has burned grasslands, sage and timber in central Washington since Monday has destroyed approximately 60 homes. More than 20,000 acres are burning and the flames are only 25% contained as temperatures are expected to climb through the end of the week. 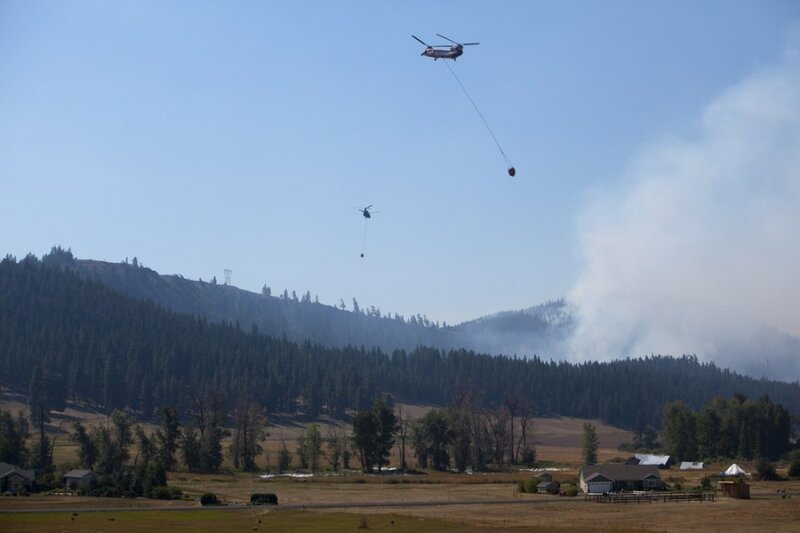 Helicopters drop water on the Taylor Bridge Fire just east of Cle Elum, Wash., Thursday, Aug. 16. Firefighters continue to battle an out-of-control blaze threatening homes in Washington State. KING's Gary Chittim reports.